Rob Roy manager Stewart Maxwell has boosted his squad options by bringing in Forfar Athleticdefender John Kelly on loan until January. The 18-year-old joined Forfar during the summer after being released by Partick Thistle and has made one appearance for the Angus side, against Falkirk in the Betfred Cup. 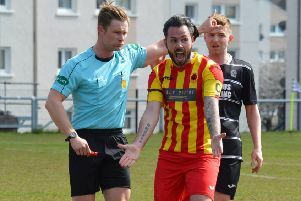 The Loons have let the youngster go to Rob Roy to allow him to get more game time, while the move will help Rob Roy who have suffered host of injury problems since the start of the season. Kelly is available to make his debut, if required, in Saturday's Scottish Junior Cup tie at Irvine Victoria.